DVTV is a triumph, I’m writing a note here, huge success. DVS, one of the few authentic, real people I graduated HS with, and this isn’t even his final form. VICE, Complex, Stereogum & plenty of other spots have given DVS love, and I’ve gotta jump on the big love fest because this is legit. It’s got talent, execution, production, excellent guest spots & collabs, the whole 9 yards, the whole enchilada, the full monte and other outdated phrases the kids don’t use anymore. This album is one of the few I’ve actually listened to more than once in 2015, and I’m pretty confident I’ll be bumping this until I’m long in the tooth. While it’s all incredible, and yes, you should both listen to it and give DVS many dollars, here are my favorites off the album. Money Train gets a million points for using Subway announcements as refrains. 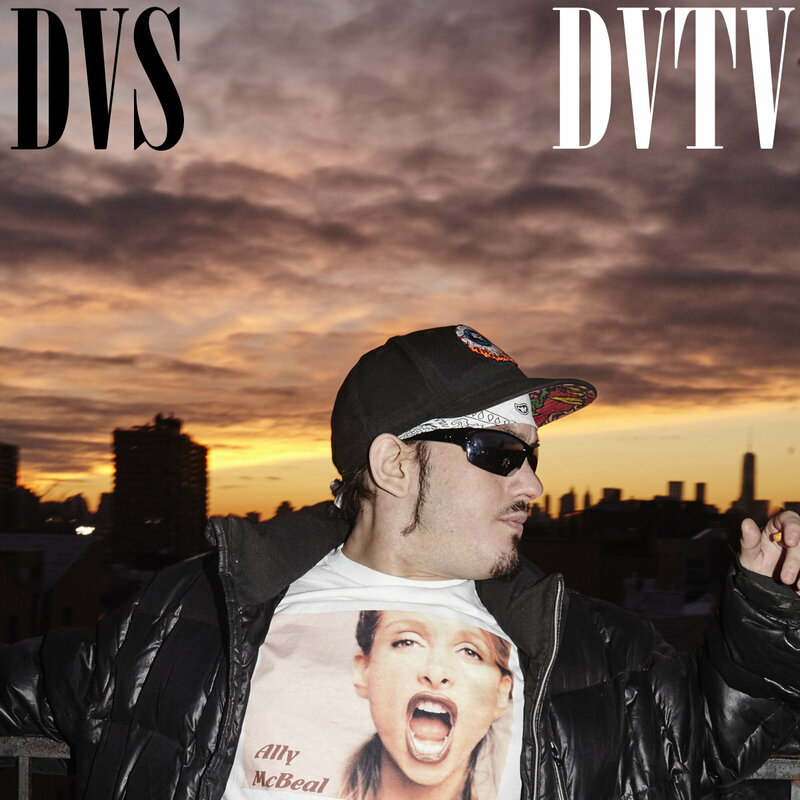 DVS has the tightest flow you’ve heard in a minute and Money Train is just a warm up. Anyone that can use the closing door sound & take the piss out of the more gangsta end of local hip hop without breaking a sweat, gets respect. Do It To Death is a stupendous solo work that reminds me that DVS is everything Rehab could never be, in addition to being better solo than most crews I’ve been stuck watching in bars across the city. The tight production & continually inventive flow do not disappoint. This will get replayed over and over. Rhymes + the Darkwing Duck theme needs to get leaked to someone at Buzzfeed with the quickness so this can get blasted in their offices over and over until they make a video about how ridiculous it is. Just What Happens is a high water mark for the Album & for DVS. Just What Happens needs to be on your Kendrick Lamar playlist. It needs to be on your Wu playlist. It needs to be on your playlists, is what I’m saying. More real than you’re probably aware of, and there’s a pile of references I know I’m missing. The crucial, vintage & excellent sample ensured this is an instant classic. The words are amazing, but 2min in to the end is lyrical mad genius that needs as wide of an audience as possible. DVTV lives up to expectations as a single, and almost a victory lap for DVS. I’m at the combination loosey spot & crack hotel is damn near close to perfection for anyone who grew up in the city before & during the Giulianification of the city. The other singles on this album have already been covered by VICE & plenty of other blogs way more important than mine, so I wanted to mention some of the new pieces and ones I’ve not…already yelled at you about. The whole thing is on a playlist below, so jam on that as needed, but definitely buy this album. Also, tell your friends. 3 Rap Mashups You’ll Laugh At. First up is Busta Rhymes vs. Thomas The Tank Engine. This works way more than I thought it would. Also, holy crap Busta raps fast. This gets out of hand, and it’s only 45 seconds long. Slim Shady beats + Gas Pedal = An intense amount of win. Especially considering a whole lot of young listeners have no idea what this beat is. The end gets a little dumb but that just shows what happens when you turn your knobs all the way. Last one is kind of shocking. Ludacris + Angry Birds works way too well. Like, I’m kind of shocked, though I really shouldn’t be. This + the Busta stuff proves that we should just make a cartoon with Luda, Busta, Marshall Mathers & Nas fighting the evil Chris Brown Empire. Along the way they learn the meaning of friendship, justice and learning, is this possible? Can we make this happen?